Finlay, dang! In what has to be one of the hardest types of antiques and art to find. 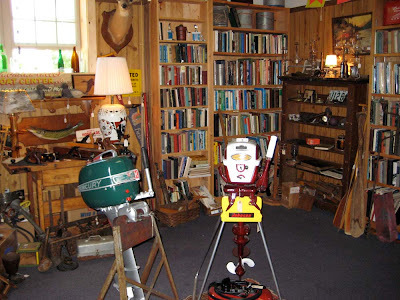 Cool old boating related stuff. 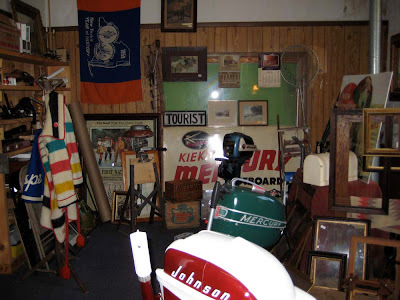 Great old paintings, signs, paddles, old snap shots. All of it. 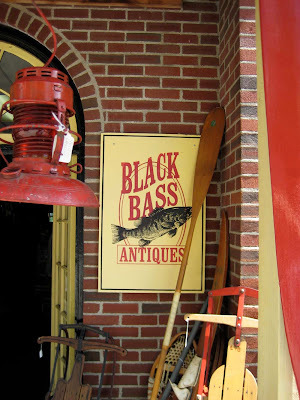 Henry and Kate of Black Bass Antiques in Bolton Landing NY . 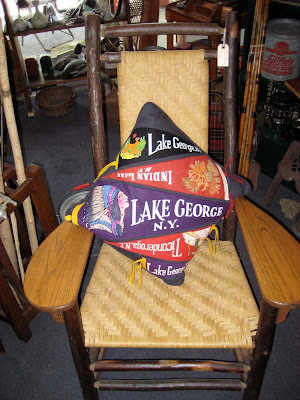 Right on Lake George has created a wonderful place full of such goodies. They also will be at The Clayton show, with cool stuff and t shirts with Hacker and Garwood on them. And of course there is a web site if you want to contact them. www.blackbassantiques.com I met Henry at the store and he could not have been nicer and more inviting. One of the traits I might add that all woody boaters seem to share. I am also sure that if he does not have what you are looking for, he can find it. Need an old fishing pole from 1925, with the reel to go in your Penn Yan? Ya never know. You might also want the tackle box. I think he even has some fish. 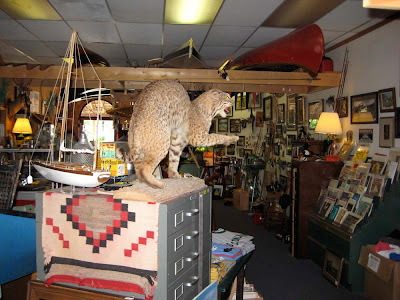 At least a bob cat from what I could see. .